Folk sometimes ask how we train our church leadership teams. I have used the following booklet with various churches in a whole-day workshop. It is here as an A5 booklet which I give to all participants. You are welcome to use or edit this in any ways you like, but acknowledging authorship would be nice. This is the content of the workshops. 2.45 Session 5. Where do we go from here? Rev. 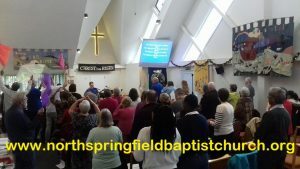 Peter Thomas is minister of North Springfield Baptist Church. He has been a minister for 25 years and has studied at Cambridge (BA, MA, PGCE) and London Bible College (BA, MA). 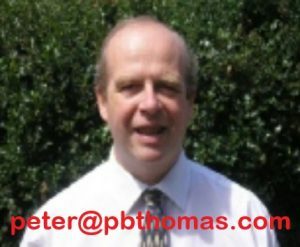 You can find sermons and studies including his future book on ministry and leadership online at www.pbthomas.com. Paul’s example of ministry in 1 Thessalonians 2:7-12. The Bible gives us many examples for ministry, leadership and pastoral care. In this session we will look at a number of passages and seek to apply them to our own situations as deacons and minister. When it comes to your turn please be ready to read the passage (or key verses) to us and pick out one or two key points from it and suggest one or two specific ways in which you think the passage applies to our situation. We will only have two or three minutes each – so lengthy sermons are not required. Visiting. Calling on members in their homes: eg, the sick, the widowed, members of one’s fellowship group, etc. Leading in public prayer. At the Communion Table, but also taking an active role in prayer meetings of all kinds. Counselling. As ‘elder'(!) statesmen, counselling individuals on personal and spiritual problems. Teaching. Involvement not only in leading fellowship groups, but also in (specialist) groups. Supporting activity leaders. Taking an active interest in the Sunday school and other organisations. Listening to the leaders and encouraging them in their work. Leadership. Seeing visions and dreaming dreams; producing ideas and showing initiative; setting the pace with the pastor. Administration. A management team, looking after the day-to-day business of the church, freeing the minister for ministry. Supporting members in ‘full-time’ service. Not leaving ongoing support to particular interest groups, but taking a special responsibility for those we have set apart. Practical service. Seeing to the practical needs of the building and of the fellowship — ‘doers’. Representation. Representing the various age and interest groups in the church, so that the leadership automatically has the finger on the pulse of the church. Interviewing. Interviewing people for membership, and then maintaining an ongoing pastoral brief for them. Wider church responsibilities. Representing the church on various ecumenical and denominational committees. Caring for the minister and his family. Exercising pastoral care for a family which otherwise might not be cared for. BEING a man or woman of God in personal discipleship and spirituality, and setting an example. BEING men and women of God together in fellowship and prayer, and setting an example. 1 – any task you spend no time at all on. Finally, put a star against the THREE most important tasks. Some Churches make a distinction between the “spiritual” activities of church leadership entrusted to Minister and ELDERS and the practical aspects of church life directed by DEACONS. One church divides the responsibilities of leadership in the following ways. STAFF: workload and use of ministry time, pastoral care of staff. EVANGELISM strategy, events and activities. Church Officers, Secretary and Treasurer also have specific personal responsibilities in some of the areas above.